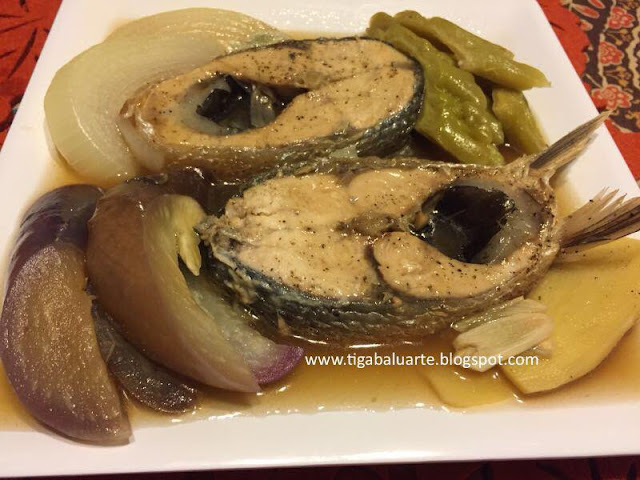 Paksiw nga Bangrus in Ilonggo or Stewed Milkfish in vinegar has always been my favorite Bangus dish. Not only easy to make but so appetizing. What I like about this dish is you can add any vegetables you like okra, green pepper, etc. 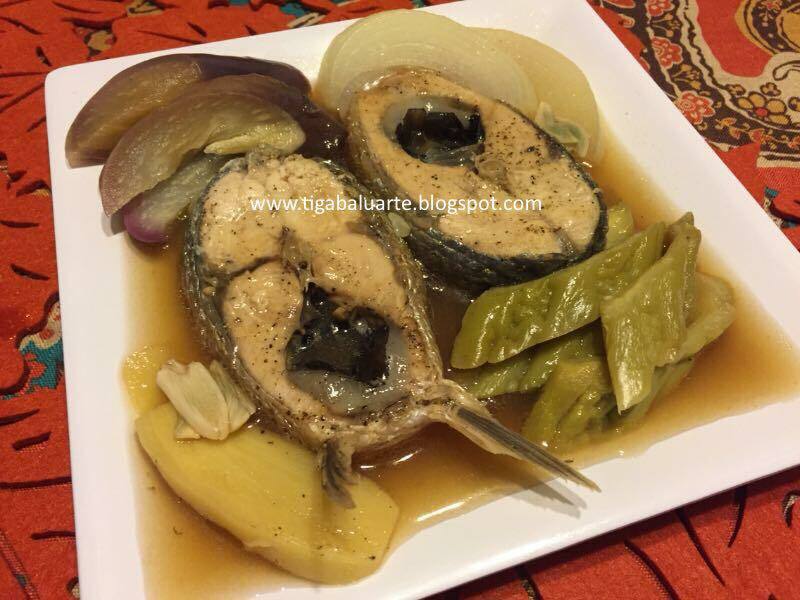 With this recipe I added my favorite, ampalaya and talong. In a casserole put the ginger and half of the garlic on the bottom of the pan. Arrange slices of bangus then put the remaining garlic, ground pepper, salt, water, vinegar and soy sauce. Bring to a boil uncovered in medium high heat for few minutes. Add more salt if needed. Add slices of ampalaya, eggplant and onions. Cover and simmer in medium heat till bangus and vegetables are fully cooked. Drizzle with cooking oil and simmer for 2 more minutes. Remove pan from heat, serve hot and enjoy.